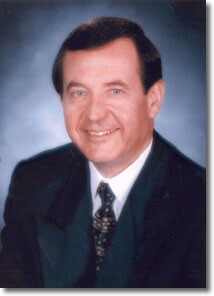 Bradford S. Smith served as Chairman and Chief Executive Officer of the New Jersey Casino Control Commission from 1994 until September 1998. He managed daily operations of the 350 employee Commission with a budget of $22 million per year. He has been a licensed New Jersey attorney for over twenty-two years and provides consulting services to the gaming industry on regulation, compliance, legislative and other issues. As chief regulator of the four billion dollar per year casino industry in Atlantic City, he was responsible for implementing over 100 regulation changes recommended by the industry. This helped streamline the regulatory system. His common sense approach to regulation made the industry more competitive and allowed for easier expansion of casino space. During his tenure as Chairman, he met with representatives from casino gaming jurisdictions throughout the world to provide insight and advice on gaming regulation. This open door policy and evenhanded approach to regulation earned him a reputation for thoughtful and fair dealing with the casino industry. His outreach to Wall Street to provide information necessary for a fair evaluation of the industry was an important catalyst for renewed interest in Atlantic City casino development. Mr. Smith received his undergraduate and law degrees at Duquesne University. He was a member of the New Jersey Senate from 1992 to 1994. While in the Senate, Smith served as Vice Chair of the Women's Issues, Children and Family Services Committee. He also served on the Law and Public Safety Committee and the Judiciary Committee which has jurisdiction over gaming-related issues. He held various local elective offices with legislative and executive responsibilities over a span of 17 years, including service on the Township Committee in his hometown of Cinnaminson from 1977 to 1985. At the age of 28, he became Mayor of Cinnaminson, which made him the youngest mayor in New Jersey at the time. He served eight years on the Burlington County Board of Chosen Freeholders, the county's governing body and was Freeholder Director in 1986. From 1975 until his appointment to the Casino Control Commission in September 1994, he was a partner with his father in the Burlington County law firm of Smith & Smith, where he practiced in the areas of contract, tort, real estate, zoning, planning and municipal law. He is an active member of Christ Episcopal Church in Riverton, New Jersey, where he was elected to the Vestry in 1995. From 1986 through 1993 he chaired the Burlington County March of Dimes and has been a member of the Rowan University Business Advisory Board since 1995. In 1996, Governor Christine Whitman appointed him to the Atlantic City Convention Visitors Authority which oversees marketing and operations of the Atlantic City Convention Center, including the $268 million center that opened in May 1997. In 1999 he was selected as Trustee of the United States Amateur Boxing Foundation. The organization assists in the training and support of the United States Olympic Boxing Team. "He was a fine leader. We'll miss him as an industry." "He had a good business sense as to what the gaming regulations meant."